On our second full day in Havana we visited Taller Experimental de Gráfica de La Habana and spoke with several graphic artists. This particular shot is the last in a series of the printmaker pulling this print through a very large press – and then holding it up for all of us to see. 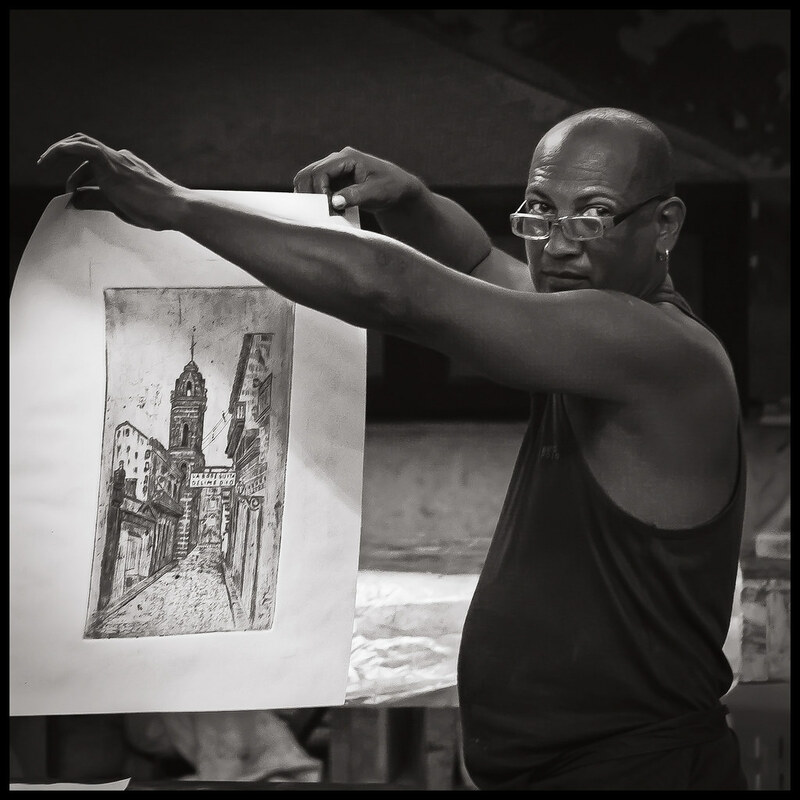 The Printmaker is part of my Faces of Cuba portfolio. Shot with a Nikon D600. Post-processed using Lightroom 5, VSCO 04 Film, and Photoshop CC.